Earlier this week, it was announced that Disney is planning a live-action remake of their classic animated adventure Mulan. Now comes word that they are also moving forward on a live-action, modern day reimagining of Winnie the Pooh. This is the latest in the studio's current trend of turning their most popular animated movies into live-action fairytales, with The Jungle Book, Alice in Wonderland: Through the Looking Glass currently shooting, and Dumbo and Beauty and the Beast now in development. Alex Ross Perry, who won critical praise with his Sundance indie Listen Up Philip, has been hired to shape the vision for this new take on Winnie the Pooh, though Deadline does not specify if he is writing and directing, or just directing. This is the second time that Disney has hired a cutting-edge director to helm one of their new live-action remakes. David Lowery, known for his critical indie hit Ain't Them Bodies Saints, is currently filming Pete's Dragon for the studio. That film is based on a movie that was originally live action, though featured a hand-drawn animated dragon. The new reboot will also feature a live-action cast, but this time the dragon will be created using state-of-the-art digital effects. This new Winnie the Pooh, which may not hit theaters until 2018, will focus on a grown up Christopher Robin struggling with the problems that are usually associated with adulthood. He finds himself journeying back to the Hundre Acre Woods made famous by A.A. Milne's iconic bear. 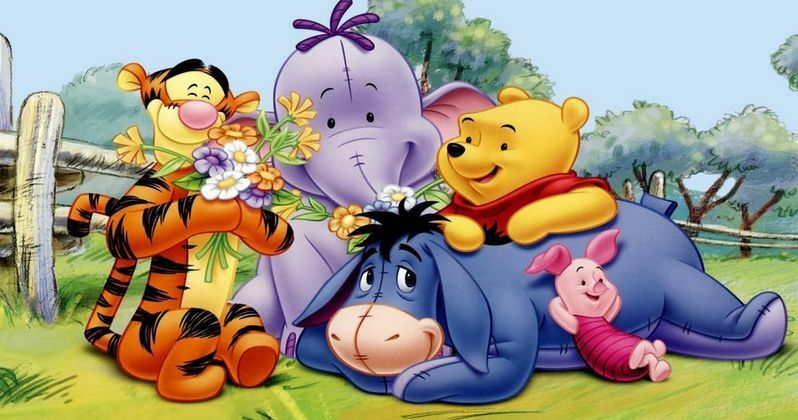 It's assumed that all of the animals in Pooh's corner will be brought to life with CGI. Though, that is not stated or confirmed in this initial report about the project. Disney has found tremendous success with its animation-turned-live-action movie remakes. The trend started with the 2010 hit Alice in Wonderland, which took in over $1 billion worldwide. Last year's Maleficent brought in over $750 million at the worldwide box offie, and the studio's current hit Cinderella has pulled in over $336 million globally since its release in theaters March 13. The idea of a live-action movie based on a classic Disney animated tale isn't new, though. The studio had a blockbuster in the 1996 101 Dalmatians live-action movie, which spawned a sequel. Don't be surprised to hear more of these types of movies announced in the coming year.